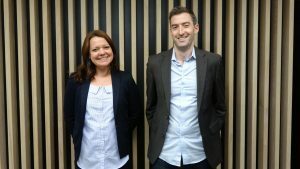 rEvolution, the integrated global sports marketing agency, expands its international sports marketing presence with the hiring of two new team members for its London office. Nathalie de Regt joins as Business Director of Research, and George Gilmore joins as Business Director. Nathalie de Regt will be responsible for building rEvolution’s industry-best research business among international sponsor brands and rights holders, helping them understand the value of complex marketing investments through rEvolution’s proprietary measurement models. Multilingual with more than 15 years in sports marketing, research and consulting for companies, including KORE Software and IMG, de Regt has amassed a vast international sports network having led a variety of high-profile business expansion and development projects. At rEvolution, de Regt will directly report to Darren Marshall, rEvolution’s global Chief of Staff and former co-founding partner of SRi. George Gilmore will join rEvolution’s business development team, with particular focus on growing the agency’s client roster in the European and Asian sports and sponsorship markets. For the past 10 years, Gilmore has accrued invaluable sports marketing and business development expertise. Most recently, he successfully led business development for large-scale agencies, such as Digital Innovation Group and Synergy & Slice, creating efficient new business processes and overseeing substantial company growth, as well as founding his own commercial sports agency Gilmore Sports Management. At rEvolution, Gilmore will directly report to Merrick Haydon, rEvolution’s Managing Director of its European operations.